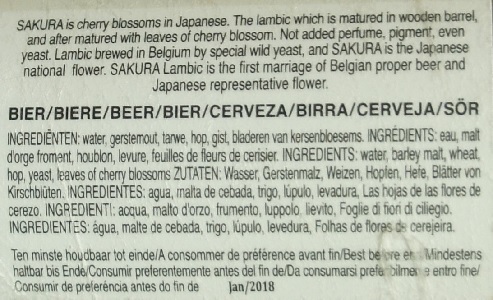 Brewer Description: (from bottle) Sakura is cherry blossoms in Japanese. 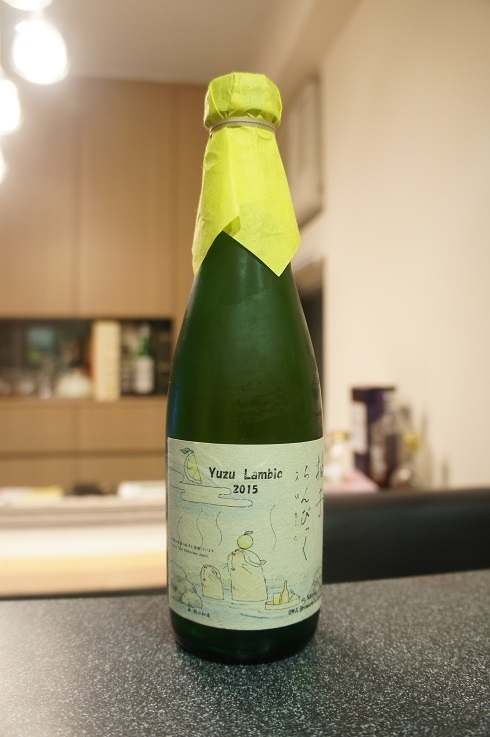 The lambic which is matured in wooden barrel, and after matured with leaves of cherry blossom. Not added perfume, pigment, even yeast. 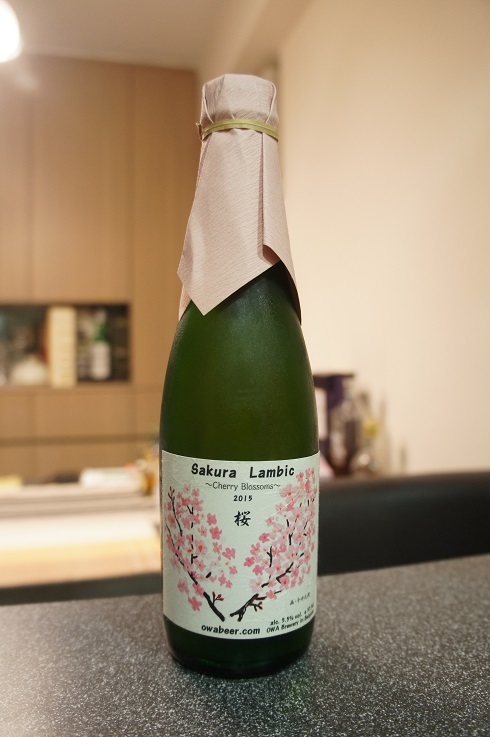 Lambic brewed in Belgium by special wild yeast, and sakura is the Japanese national flower. 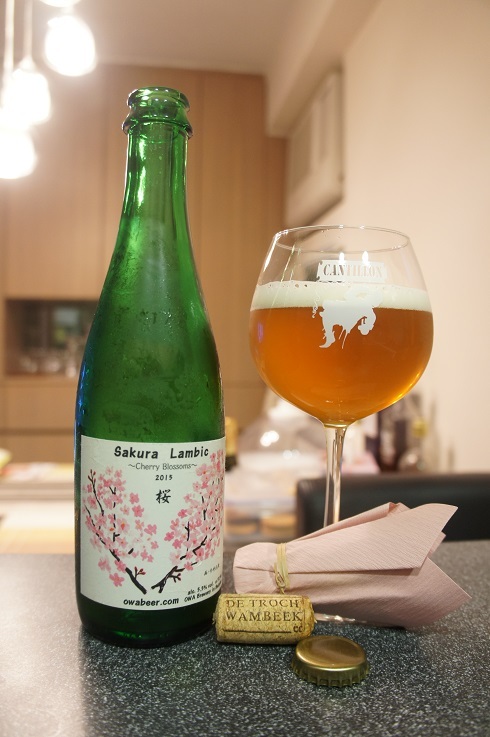 Sakura lambic is the first marriage of Belgian proper beer and Japanese representative flower. (from website) A perfect beer to enjoy before a meal. Sakura means cherry leaves in Japanese. The leaves are steeped in salt for several months producing a highly perfumed aroma. In Japan, Sakura are also enjoyed as special sweets during spring time. Intro: A 375ml corked, capped and paper wrapped bottle, 2015 vintage, with a best before end date of January 2018. Poured into a Cantillon ballon glass. Appearance: A clear golden orange colour with a one finger white head that slowly settled to a thin layer with sparse lacing. Aroma: Sweet fruity cherry, almond, apple and cinnamon. Also some wood with a light funk in the background. Taste: No idea what cherry blossom is supposed to taste like but this is lightly sour with cherry, apple, wood, citrusy orange and a hint of cinnamon. Mouthfeel: Light bodied with high to moderate carbonation. Overall: Taste could be more sour, but its still nice. 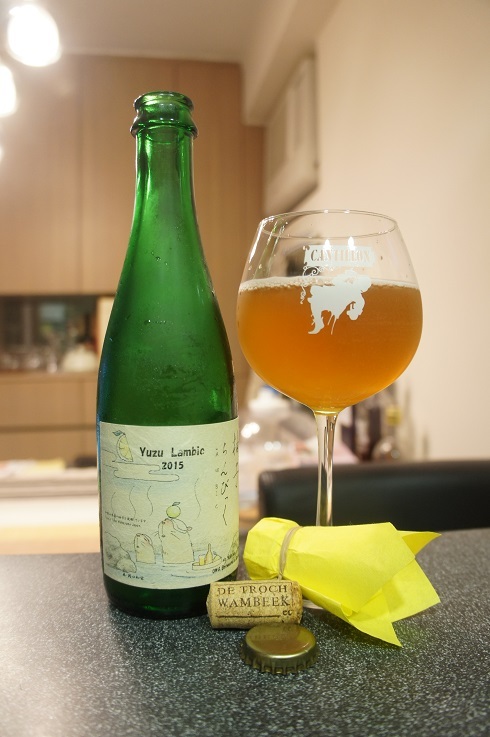 I definitely preferred this Sakura Lambic much more than its Yuzu counterpart. I’m also surprised that there is not more floral element in either the aroma or taste though considering that cherry blossom is used. Brewer Description: (from website) A very good choice for those who are not keen on a typical beer taste. Very easy to drink and very refreshing. Yuzu is a Japanese lemon. During brewing, only the peel is used to steep inside the Lambic. Intro: A 375ml corked, capped and paper wrapped bottle, 2015 vintage, with a best before end date of January 2020. Poured into a Cantillon ballon glass. Appearance: It poured a clear golden copper colour with no head and no lacing. Aroma: Funk, wood and mineral with lots of citrus orange, sour yuzu and lemon. 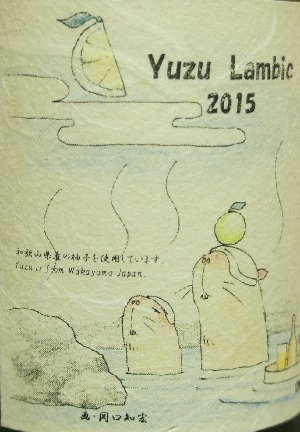 Taste: Tart and very sour yuzu plus lemon peel, with a hint of wood and vinegar. Mouthfeel: Acidic, light to medium bodied with light to no carbonation. Overall: It started out kind of rough for me, but definitely got better the more I drank it and tasted better than its aroma. Its worth a try if you enjoy sour and/or lambic beer. Love the artwork though!